Legal custody refers to the right of a parent to make decisions regarding her child’s care, welfare, education and health. Physical custody involves caring for a child within the home and meeting his day-to-day needs. Generally, parents with physical custody have legal custody over their children. Not all parents with legal custody have physical custody, however. When a parent has 50/50 custody, this generally means they share physical custody. When parents have joint physical custody—that is, when they share in the caregiving responsibilities for their child—this does not necessarily mean that time is split 50/50 between both parents. Instead, it means the child spends a significant amount of time in the care of each parent. If one parent objects to joint custody, it is rare a court would approve such an arrangement because joint custody requires parents to cooperate, compromise and interact for the benefit of the children. 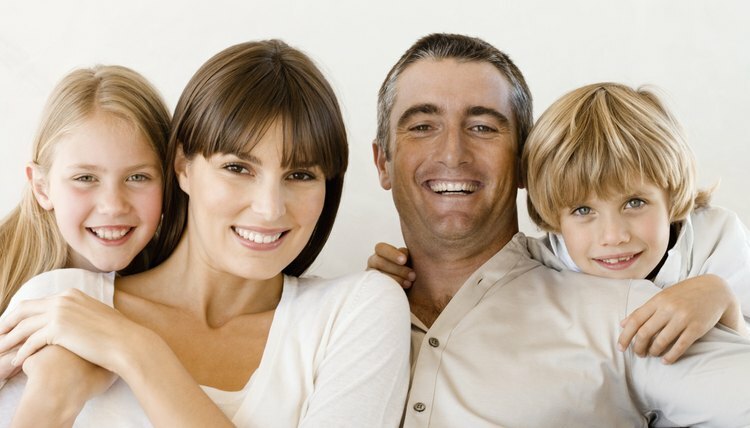 Thus, to obtain 50/50 custody, the parents generally must show they are able to work together and maintain a civil relationship for the sake of their children. Generally, parents request joint physical and legal custody in their divorce petition, or complaint. The parents will generally make these requests in the relief portion of a divorce petition. Within these documents, parents specifically state how they are seeking joint legal and physical custody. Additionally, they outline a proposed custody schedule, including details about how and where they will facilitate custody transfers. Many states require divorcing couples to attend mediation as part of their divorce action when they have minor children together. During mediation, a third party mediator will assist the couple in reaching a mutually-agreeable joint custody arrangement. Additionally, even when the court does not require mediation for all divorcing couples with children, the court may require parents to work with a mediator if only one party is seeking joint custody. When making a decision on whether to grant joint custody, most courts look at whether such an arrangement is in the best interest of the child. When assessing the best interest of the child, the court will look at a number of factors, including the age of the child, child’s relationships with each parent and parents' ability to meet the child’s day-to-day needs. The court may also look at each parent’s lifestyle, financial resources, home environment and moral fitness. In cases involving adolescent and older children, the court may also consider a child’s wishes when deciding whether to grant joint custody.